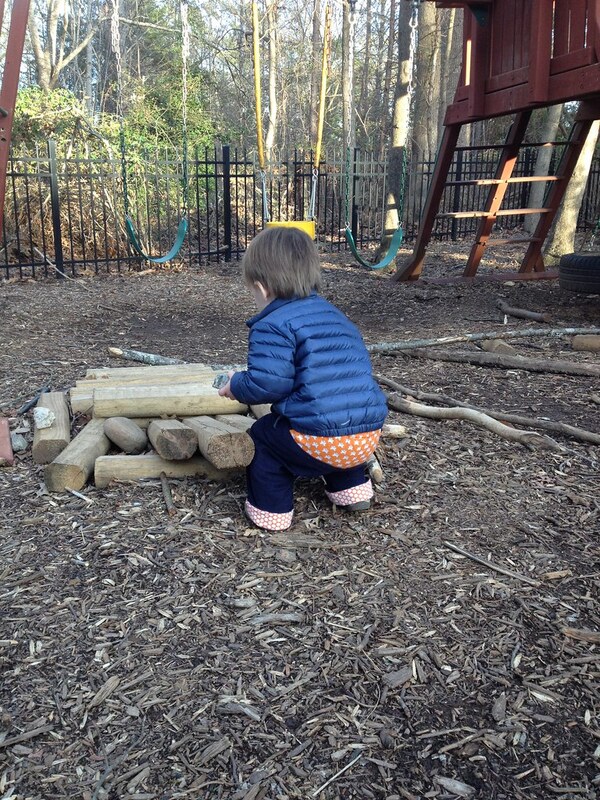 Sean took a nap today and so I continued my kids clothes week challenge streak! Two days, woohoo! 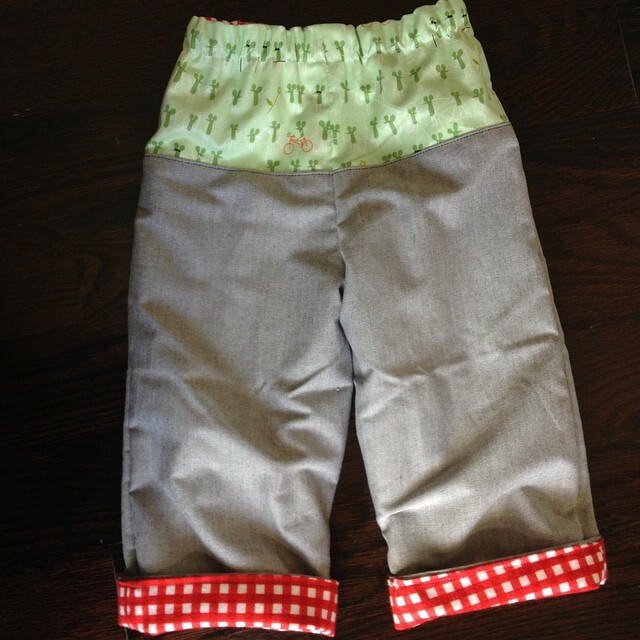 Another pair of Quick Change Trousers (from Anna Maria Horner's book New Beginnings). Today's trousers feature the mint mice on bikes print from Lizzy House with chambray on the outside and flannel inside. On this pair I didn't bother making the cute rear panel in a contrasting fabric for the B side. Since I never end up reversing them, I figured I would save a few minutes cutting and sewing that part. And I caught a few shots of Sean modeling the pair I made yesterday. 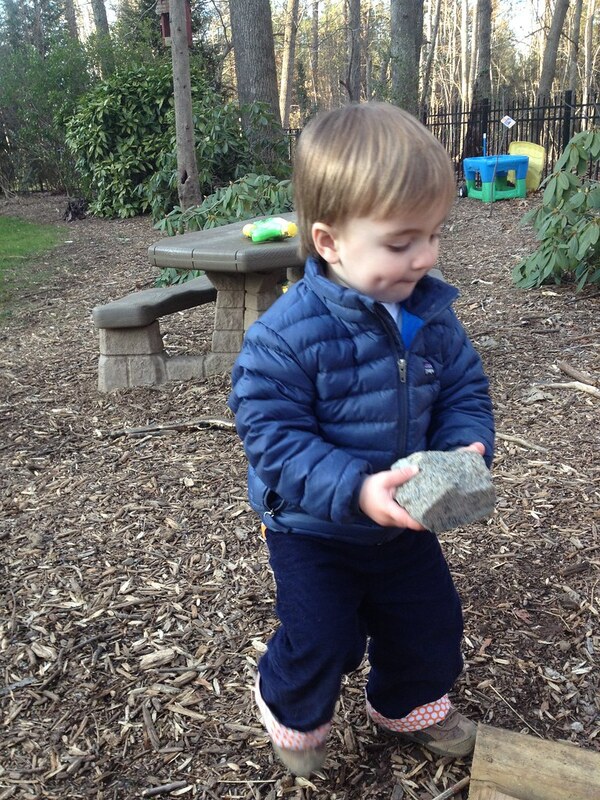 He's doing his favorite thing - moving large rocks around the yard while grunting and saying "big!" a lot. He cracks me up. I actually cut a little frog from the orange flannel dots to applique on to a t shirt, but I didn't get to that today. Maybe tomorrow. This is all I really had planned for the week. I have some quilting bees and swaps I need to work on, so we will see what tomorrow brings! I love these trousers so much! I made three of them for Iwen when he was little. Your take on the trousers is adorable. And Sean is really growing up! I like seeing your little model in action.